your gardening questions. For accurate diagnosis, it helps to bring in a sample. and more and larger blooms. Want some color in a shaded area? Try begonias, impatiens, coleus, ivy geraniums, fuchsia, or lobelia. Watch for geranium budworm on geraniums and petunias. Besides the obvious destruction of the flowers, another telltale sign is tiny black droppings on leaves and the ground beneath the plants. The most effective treatment is to spray Eight insecticide every 10 days or treat organically with BT. Shade your patio for late summer by planting annual vines, like morning glories, moon flowers, scarlet runner beans, or sweet peas. to keep them fresh until you are able to arrange them. Stake your tall blooming flowers like gladioli, delphiniums, and cannas to keep the flowers showing and upright. Do you live in the foothills or mountains? We grow a crop of flowers for you late season gardeners. Drip irrigation really conserves water. Echter's has drip irrigation kits for vegetable gardens, containers, hanging baskets, and flower beds. to get enough fertilizer to them is with a water-soluble fertilizer like Jack's Classic Blossom Booster. Prevent rose and perennial diseases like powdery mildew from taking hold by using a systemic fungicide before the problem appears. Once those diseases appear it is very difficult to control. Bee balm, phlox, columbines and lilacs are some of the plants prone to powdery mildew. If you had rust or black spot on your roses last year, give them a good preventive spray to reduce the problem this year. You will have to repeat the spray according to the directions on the container. next spring. Our fall-planted bulbs arrive around Labor Day weekend. Control grass in perennial flower gardens with Over the Top. It is unique in that it kills grass without damaging most perennials. and silver lace vine. Even grape vines work well to create a shady spot. a systemic insecticide for continuous insect control. Watch for insects on all your plants. Control them early. Pinch back asters and mums until mid July to encourage branching, compact growth and extra flowers. Too much shade? Echter’s has many shade-loving plants. For perennials try ferns, hosta, forget-me-nots, lamium, astilbe, violas, columbine, hellebores, bergenia, lily of the valley, and many more. Plant baby’s breath in your rose garden. It’s a great addition for any of your flower arrangements. Grass has a very hard time growing under spruces and pines. To solve this problem, we suggest either mulching or planting one of several ground covers. Vinca, purpleleaf wintercreeper, ajuga, sweet woodruff, plumbago, creeping mahonia, and kinnikinnik are just a few suggestions for those difficult situations. Avoid overhead watering when tomatoes, peppers, squash, cucumbers, corn and other vegetables that need pollination are in flower as the pollen may be washed away, resulting in fewer fruits. Remove the Season Starters from around your tomatoes, peppers, etc. before the weather turns hot. with Eight to take care of those tiny problems. 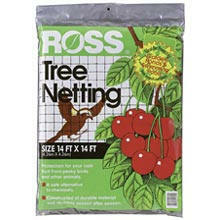 Ross netting over your fruit trees and raspberries will help keep birds and squirrels out of your fruit crops. In addition, bird-repelling scare tape will be beneficial in protecting your fruit for a while. A floating row cover "tent" over your cabbage, broccoli and cauliflower will help eliminate cabbage loopers. If they are already present, a dusting of Sevin dust will take care of this insect. for the summer and then till it into the ground this fall to improve the soil structure. All vegetables should be harvested early in the morning when it is cool, especially lettuce, spinach, herbs, peas, and beans. Pick edible pod or sugar pod peas when the seeds are barely visible for best quality. a bit higher nitrogen (the first number) in the analysis. Trellis your vining cucumbers, squash and small gourds to make more room for other vegetables. Trellising also improves air circulation and keeps the fruit off the ground. the hose on top of the mulch next to the plant or under the mulch. This is the most efficient way to water your gardens. Plant bee-attracting flowers in and near your vegetable garden to draw these pollinators to your crops. If you have to use an insecticide, use it very early in the morning or late in the evening to protect the bees. Harvest broccoli when the buds are still tight and before any flowers open. Ferti-lome's Weed Out or Weed Free Zone. These are the most effective weed killers you can buy. If you fed your lawn in April, it's time to put on another application of fertilizer before the summer heat arrives. A slow release fertilizer is a must for this time of year. Container-grown trees, shrubs, roses, and perennials can be planted anytime during the summer. Planting early in the morning or in the cool of the evening reduces the stress on both the plant and the planter. Watch for wasps or yellow-jackets in and around your trees (especially aspens). This may be a sign that there are aphids on the leaves. By ridding your trees of the aphids, the yellow-jackets will go away. Prune spring-flowering shrubs and ornamental trees after they have finished blooming. Prune only the spent flowers of lilacs. Lilacs set their flower buds for the next year very soon after flowering, so do not prune into the branches. weed barrier and mulch about 4" away from the trunk of your trees and shrubs. the tree and improve the quality of the fruit. This will also ease the weight on the branches. Watch for deformed or mottled leaves on honeylocust. Leafhoppers and pod gall midge are common insects on these trees. A good systemic insecticide will help rid your trees of these pests. Spray your ash trees for the ash sawfly and aphids. We have sprayers that reach 30 feet, and can take care of these pesky insects early. Prevent re-infestation for one year by applying Ferti-lome Tree and Shrub Systemic Insect Drench with a watering can. This will also protect your ash trees from the deadly emerald ash borer which reached Colorado in 2013.
of white paper and shake the branch onto the paper and examine the paper to see if anything is moving. Once the temperature of your pond reaches 65 degrees, it is safe to set out tropical water lilies. Place water lily fertilizer tablets into the soil of your pots. Water hyacinths and water lettuce are nature's floating filters. They help oxygenate the water and keep algae growth down. Algae can also be controlled by a floating barley straw bale in the pond. Feed your pond fish on a regular basis, but only what they can eat in five minutes. cuts, burns and sunburns. Just break a stalk open, squeeze and apply. Keep an aloe plant among your houseplants. Change the water in your birdbaths weekly and clean your bird feeders to prevent diseases. Praying mantis eat many different insects. To control mosquitoes, drain all standing water, no matter how small the amount, including rain gutters, plastic sheeting, pipes, drains, trash cans, saucers under pots, etc. Change the water and clean your birdbaths and wading pools at least once a week to keep mosquitoes from laying eggs in stagnant water. Use Quick Kill Mosquitoes or Mosquito Plunks in your ponds and fountains to kill the mosquito larvae. These controls do not harm fish, birds or water plants. Before you treat or spray lawns, houseplants, trees, shrubs or flowers, be sure your problem is identified correctly. Bring a sample of any plant problem in to Echter’s plant doctors for a correct solution to the problem.